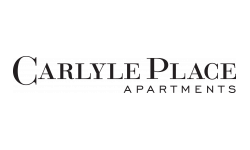 Walking distance to the US Patent and Trademark Office, National Science Foundation and more, Carlyle Place is the perfect place to call home. Enjoy a variety of upscale shopping and dining with a mix of local attractions and activities in Old Town Alexandria or take a ferry to Tanger Outlets at National Harbor. With everything in close proximity, stop by your future home today!